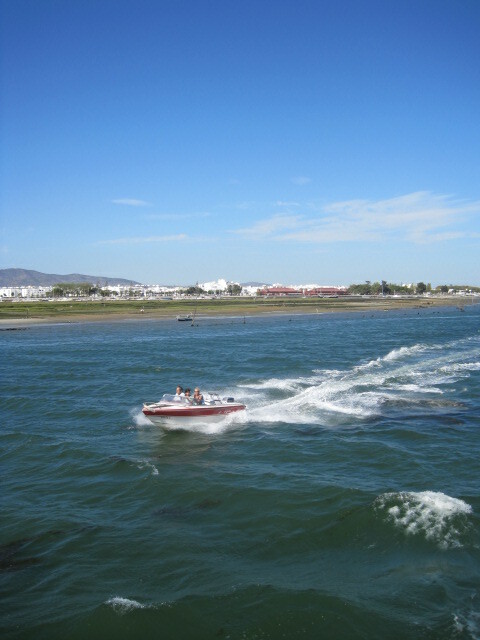 This is where it all began for me- the knowledge that there were islands off the southern shore of Portugal. 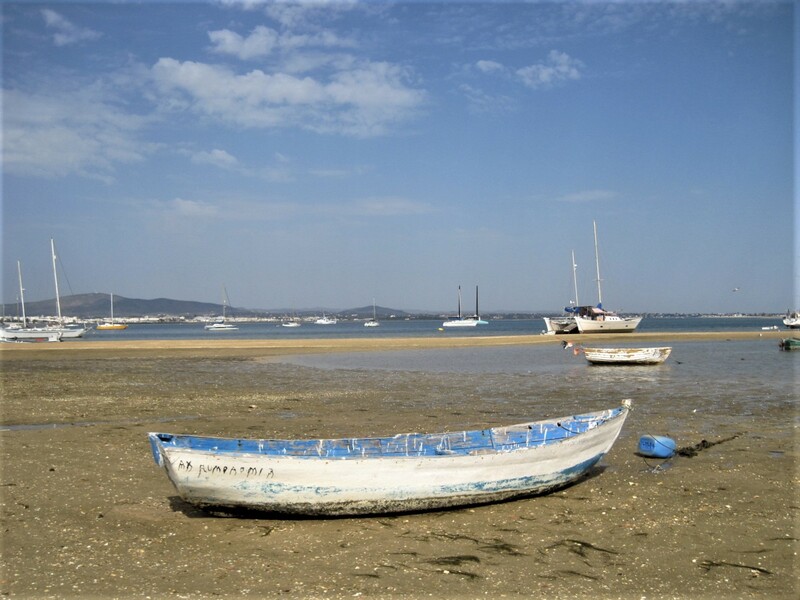 And ever since, it has been one of my special delights, whenever I’m in the Algarve, to seek out an ilha, or island, to explore. 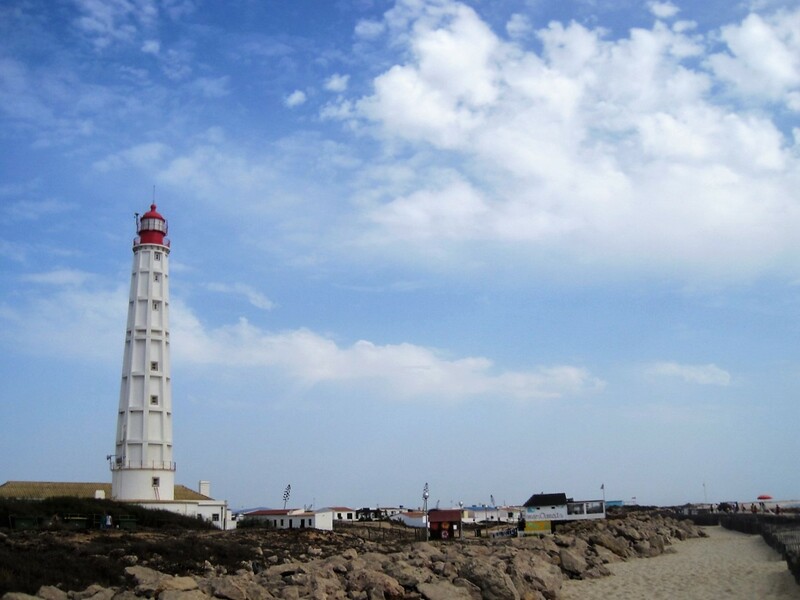 As you fly into Faro, often the plane will follow the coastline and dip low over the Ria Formosa, a natural habitat of salt marshes. Still, it does not really prepare you for the fact that there is an island life out there, just waiting for your approach. 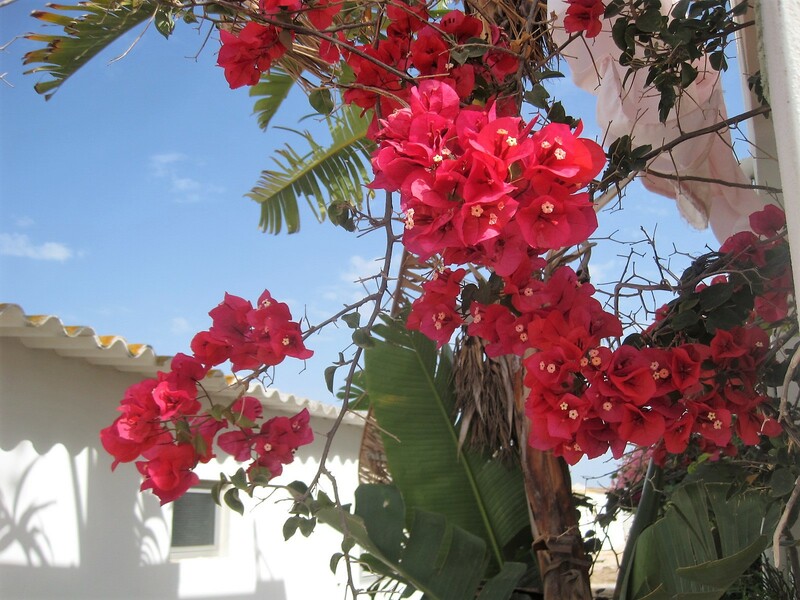 If you’re staying in Tavira, of course, it immediately becomes apparent. “Where is the beach?” you enquire, knowing full well that the Algarve boasts some of Europe’s finest. 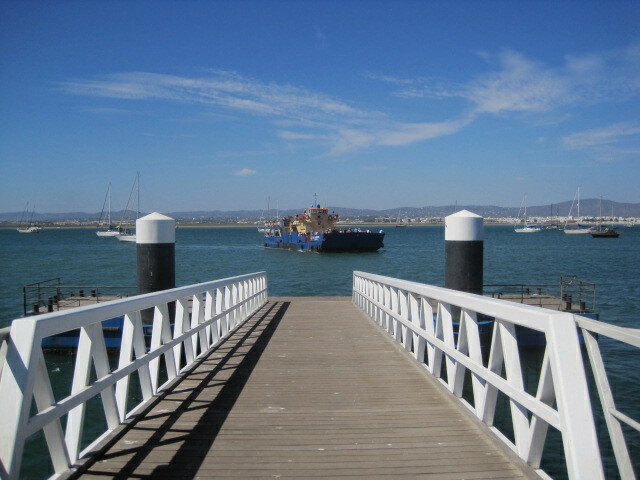 You will be directed to the ferry terminal, and there begins your adventure. 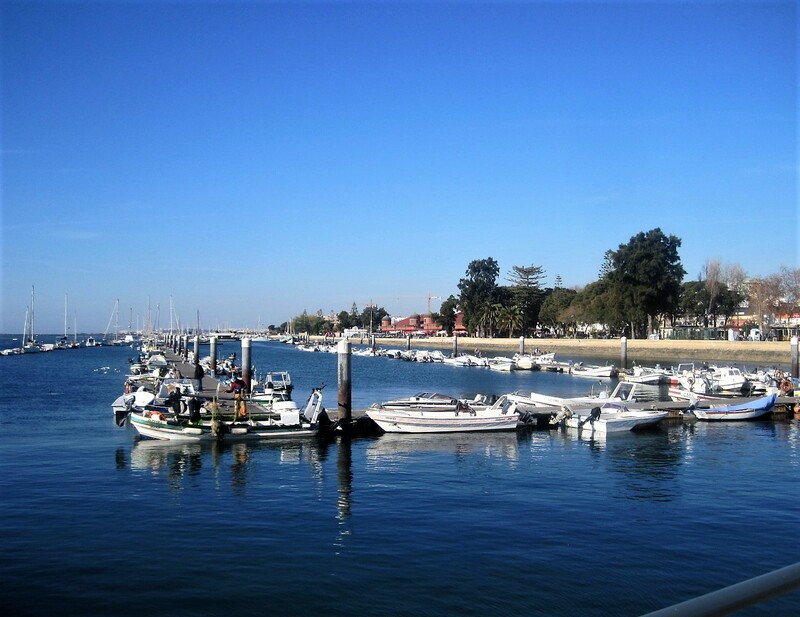 If it’s summertime you can catch the ferry from the town, and chug away from Tavira’s beguiling skyline through the salt marshes. 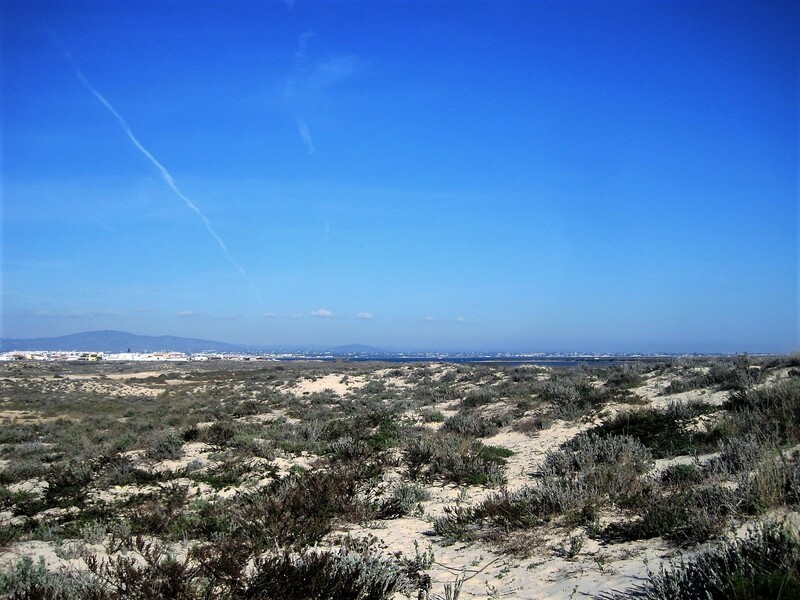 In winter you will have to be a little more independent and make your way to Quatro Aguas, on foot or bike. It’s a half hour walk, and not one that you would happily undertake in the heat of summer. If you’re feeling lazy, you can just plonk down on the river beach and watch the to and fro-ing of the boats. Occasionally a jet ski might zip past, disturbing the calm, but more often it’s the sailing school, out to practise manouvres. 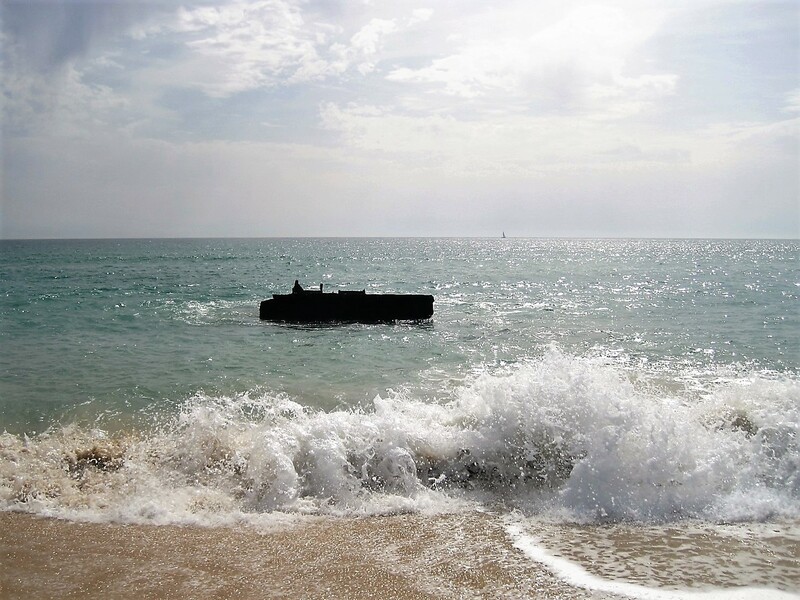 For the wider expanse of the ocean, you can cross over the island, beneath fragrant pines, running the low key gamut of a few restaurants, ever open for business. On the shoreline, simply stroll, with the tongues of water teasing and licking at your toes. Look back over your shoulder and you will see the ilha of Cabanas. I have a gentle love/hate relationship with Cabanas. 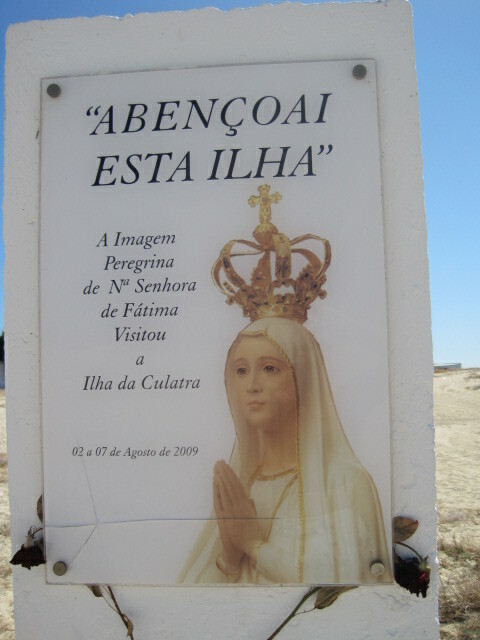 To me it represents that commercial face of the Algarve that I came east to escape. Yet poke about in the back streets and the character is there still. In the off season you might even regard it as perfection. 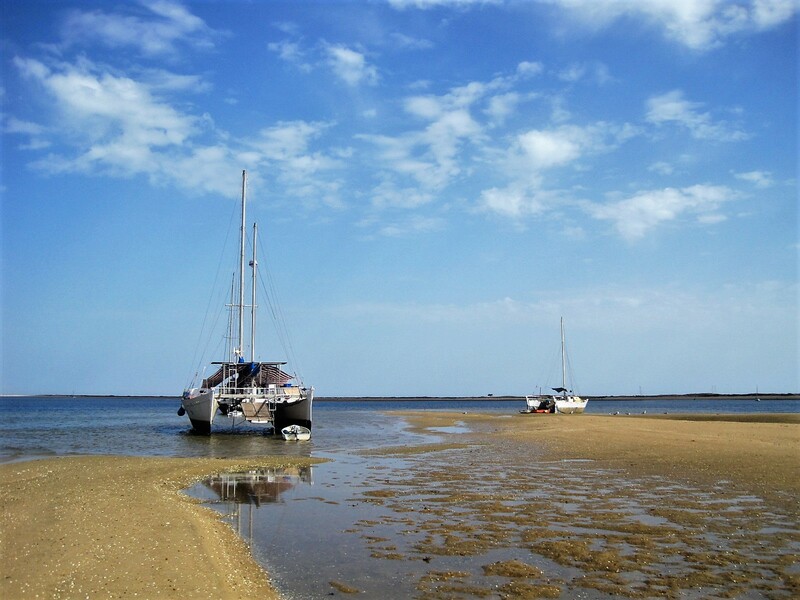 The fishing village is undeniably eroded, but catch the water taxi across to the island and all is forgiven. I have walked and walked till I could barely stand, until finally the beach begins to undulate and break up into sandbars. 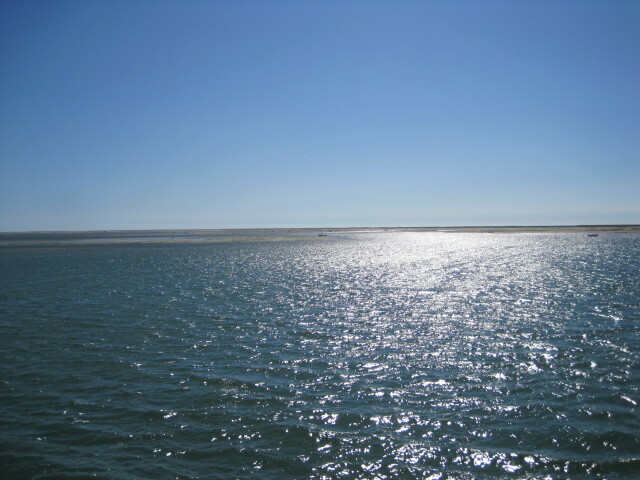 Cabanas is the most easterly of the ilhas. 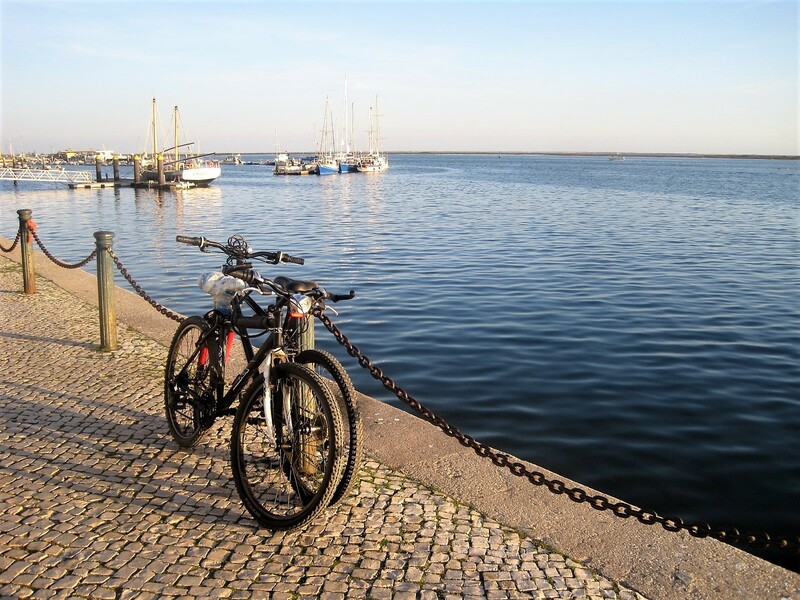 Tavira Island comes next as you head west, and can also be accessed from Santa Luzia and Barril. Yes, it IS that big. Skipping on along the coast, you come to the village of Fuseta. 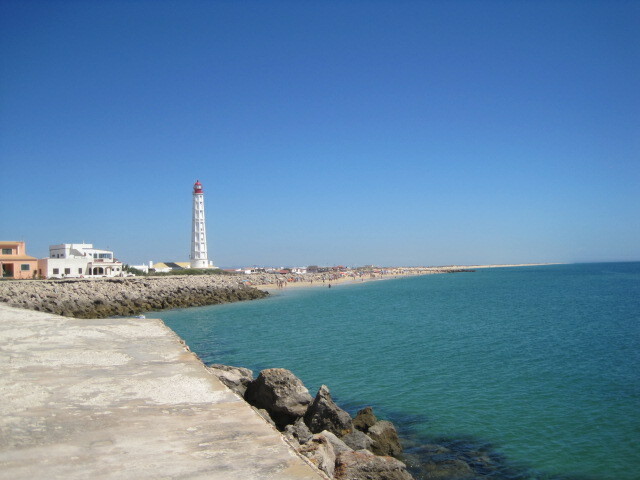 From here it’s an easy ride across to the easterly tip of the next ilha in the chain, Armona. What will you find? Very little other than endless beach, and in some places an interesting perspective back to the mainland. 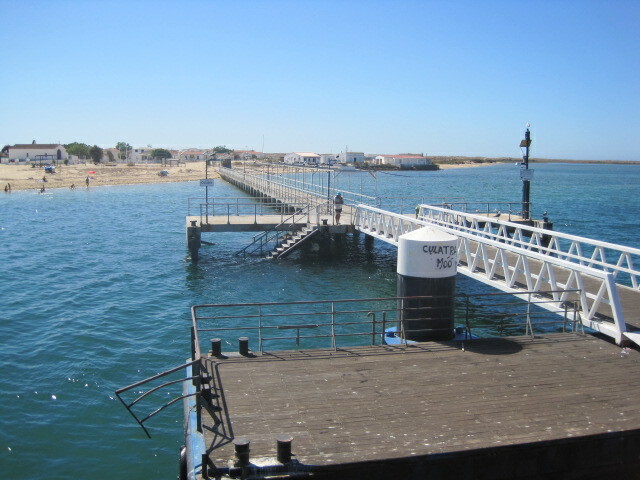 The main access to Armona is from the bustling fishing port, Olhao, which will be the subject of a later A-Z post. 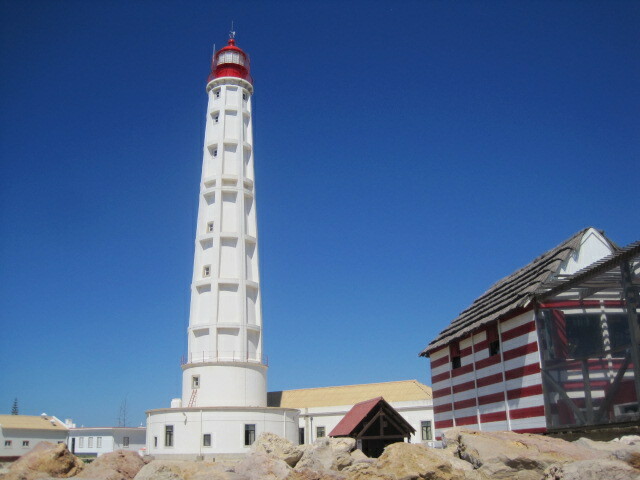 If I were ever to take up residence on one of the islands, it would be Armona. For me, it has everything I would need. 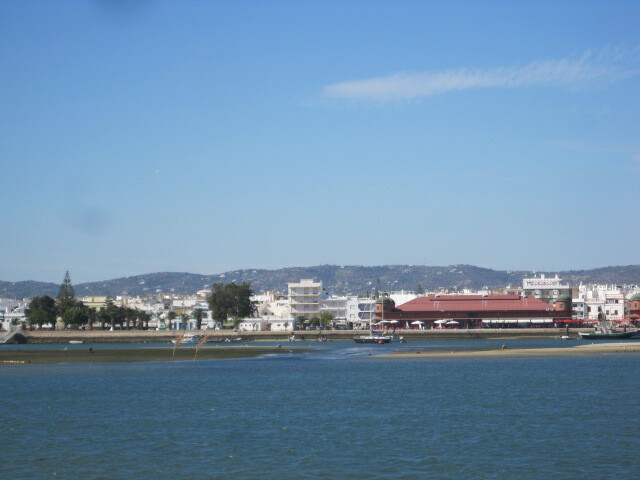 A pretty little harbour, lots of shallow inlets for paddling, charming beach houses, a couple of restaurants, a shop and a church. All I would need would be my little boat, and the dream would be complete. Meanwhile, the ferry does a fine job. 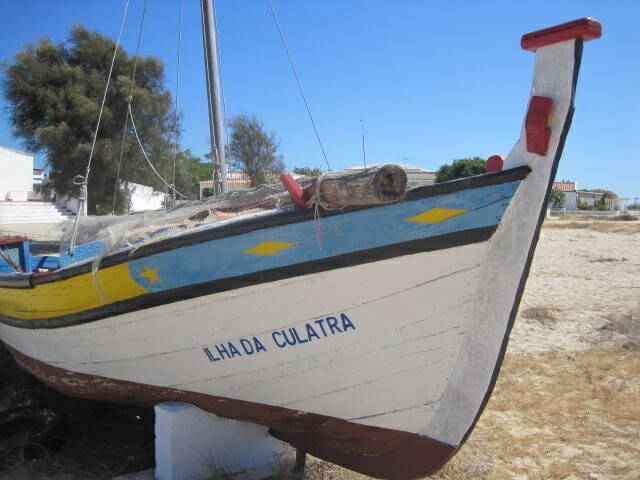 Saturday mornings, when the islanders come over to Olhao market for provisions, all kinds of everything are transported. Culatra is the next ilha we meet. 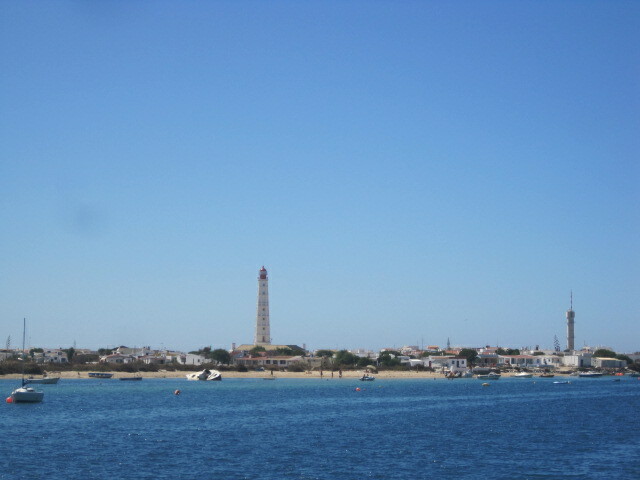 Ferries make the round trip out of Olhao, calling first at the easterly tip of the island, and then at Farol, whose namesake, the lighthouse, can be seen from far and wide. Not dissimilar to Armona in style, you will have to judge for yourself where your preference lies. I gather that it’s a great spot for fishing. Myself, I just like to get off at one stop and potter along the beach to the other. Whether you do this on the landward side or by the ocean will affect what you are likely to find at your feet. 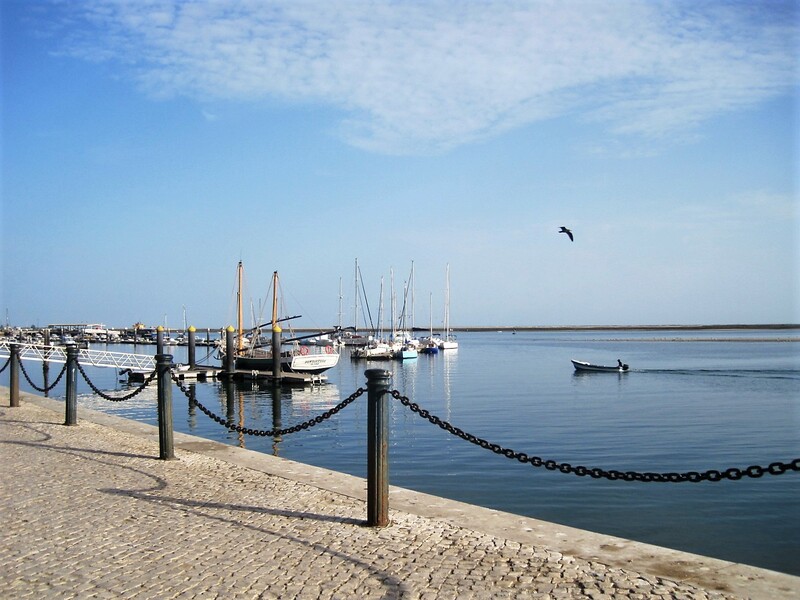 Faro, the capital of the Algarve, also provides access to Armona and Culatra, both by regular ferry and excursion. 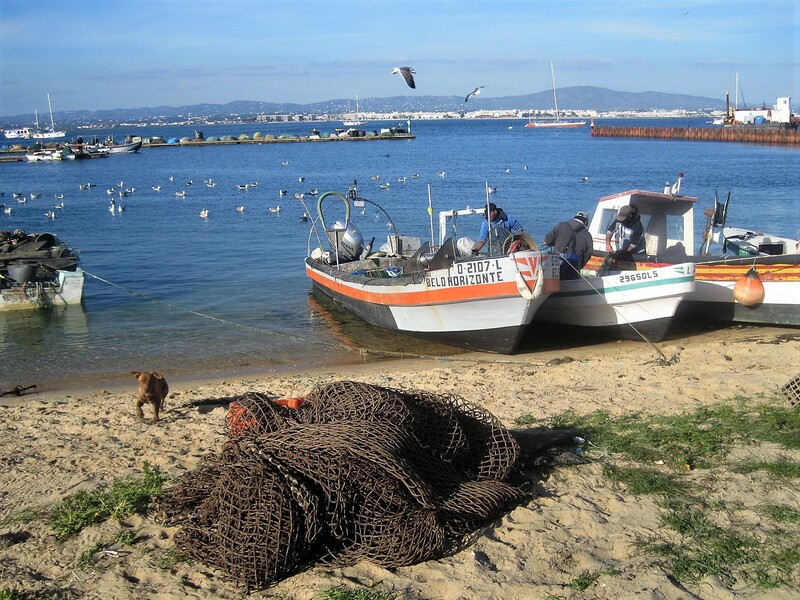 The last of the ilhas is only accessible from Faro, unless you have your own boat. 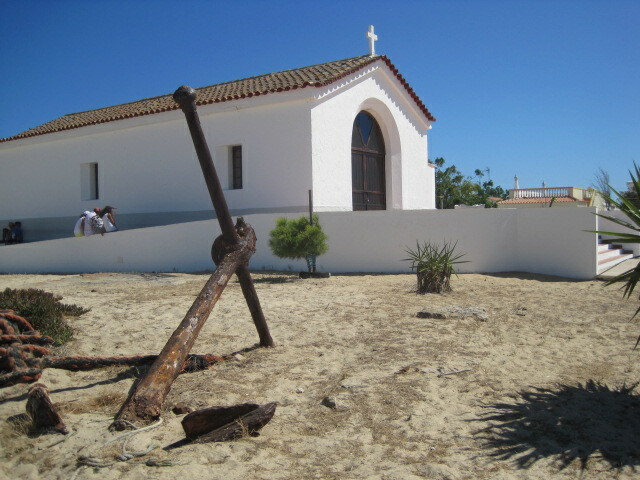 Barreta, or Ilha Deserta as it is commonly known, is the most southerly of the islands. Do not attempt a visit here without full sun protection. There is no shelter, other than the restaurant “O Estamine”, from the sun’s blistering rays, although you might not always be aware of this due to a cooling breeze. That’s as far as my explorations have gone, so far. Until I get that boat, I won’t be able to visit any of the smaller ilhas. Be assured, when I do, you’ll hear of it. Meantime if you have any questions or want details on getting there, you only have to ask. Many thanks, as ever, to Julie Dawn Fox for providing the opportunity to share this post on the Personal A-Z Challenge. To join in, and read related posts, click on the link or the banner below.